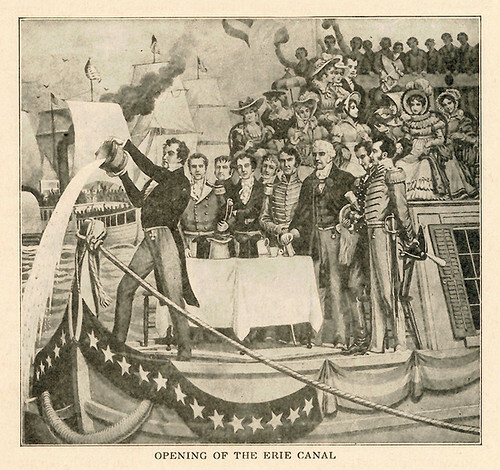 I want to draw a parallel between two things: the Erie Canal and the Seattle Waterfront. In 1817, there were about 100,000 people living in New York City. Mayor DeWitt Clinton had drawn a Cartesian grid over the island of Manhattan, but it was sparsely occupied at that time. Then, through gathering private funding, Clinton built the Erie Canal. 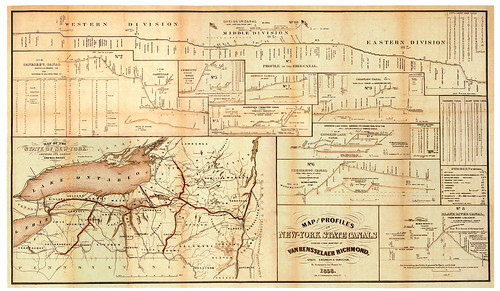 Within a few years of the canal opening (in 1825 officially) the grid filled up, and New York City established itself as the financial capitol of the world for the next 200 years. Such a title could easily have gone to New Orleans, whose position at the mouth of the Mississippi was a more natural passage to harvest the massive commodities that lay on the interior of our virgin country. Instead, goods were taken from the interior, through the canal, and then out to the rest of the world. No other city had a chance after that. 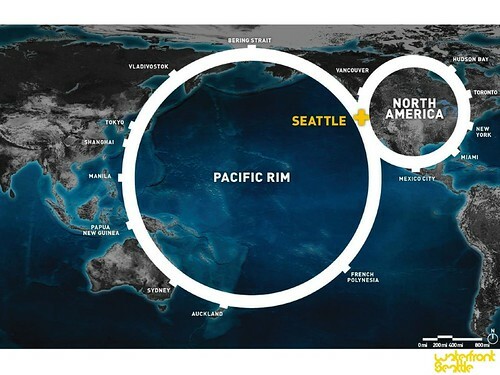 Notably, Seattle is now faced with a unique opportunity to envision itself at the center. We are going to finally take down the double-decker concrete highway that separates Seattle form its waterfront, rebuild the seawall, and design an entirely new scenario. To start the envisioning process, this past Thursday about 1,100 people met at the Seattle Aquarium. The evening was well planned with many multimedia incentives to get people talking about what they wanted for their waterfront - Mayor Mike McGinn and James Corner, the design lead from Field Operations, gave talks too. Rightly so, McGinn’s primary point was to make us think “how are we going to pay for this?”, but left us with no answer. Corner on the other hand, using his “arsenal of eidetic operations”, painted a compelling picture of the Seattle waterfront becoming the literal gateway to a new powerhouse of commerce that has assembled around the Pacific Rim. Learning from Mayor DeWitt Clinton, it seems plausible that if we go about this project the right way, we could procure private funding and come out stronger than ever before. Great cities are built, but they don’t stay on top forever – is it actually possible that Seattle, through major feats of vision, finance, and politics, could become the next center? I don’t think that anyone can say if that is actually possible, but I do think we should continue with broad-scale visions to make sure we don’t miss any monumental opportunities.